in edging, pots and window boxes. Average height of 45 cm. Small cluster-type roses, useful for massed bedding which grow from 45 to 60cm tall. Landscaping Roses, vigorous, large clustered flowers for massed display. Average height 70 to 80cm. Grandiflora's combine the vigor & blooming ability of floribundas with the beautiful blooms & long stems of hybrid teas. Hybrid teas generally bear one long, pointed bud per stem. Excellent for cut flowers. Average height 1.5m. 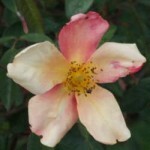 Roses bred for Australian conditions by past and present Australian Breeders. Climbers are roses of upright habits which are suitable for along a fence, wall or trained to grow over an archway. Rose varieties grown on 30cm stems. Used as a single specimen, or along a pathway. Roses with old world charm and fragrance. 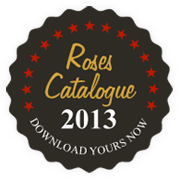 than 500 varieties of stunning and exclusive roses. 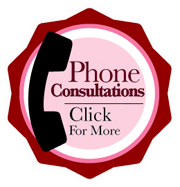 of roses, delivering plants state and nationwide (excluding Western Australia and Tasmania). upon delivery, ready for planting and enjoyed by our Queensland and Interstate customers. the fragrant rows of spectacular flowering rose plants including our yearly latest releases, between the months of June to September. A range of quality potted roses are on display and available for sale all throughout the year. Trewallyn Nursery also specialise in growing a vast range of fruit trees with exotic and traditional varieties on offer adding value to a garden while providing rewarding and delicious product. Varieties on offer include citrus fruit trees such as Limes, Oranges, Mandarins and Grapefruit and succulent stone fruit varieties of Peach, Plum and Nectarine. Exotic tropical fruit varieties are also on offer including the popular Lychee and Guava and the unusual wild berry taste of the Jaboticaba tree. Whether you're an experienced gardener or just starting out, the staff at Trewallyn Nursery can offer expert advice on growing conditions, care instructions and other growing tips to keep your garden thriving year round. Call us or visit the nursery at 247 Wises Road, Alloway, 4670. We look forward to meeting you soon. Learn from the professionals the best kept secrets of rose planting with our group workshops. For more than 60 years, Trewallyn Nursery has been at the forefront of the Rose Growing and Cultivation Industry in the Bundaberg region and across wider Queensland through offering more than 500 varieties of roses.